Strike! Oh yeah, we do inflatable bowling fun, too. Check out the pictures and imagine your friends having a blast with this one. Included are 1 10-foot Zorb Ball, 1 40-foot lane, and 6 6-foot bowling pins. 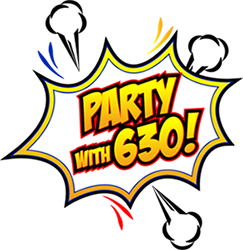 Party With 630 has been a leading supplier to private and public event organizers since 2006, helping schools, churches and businesses throw the best parties and events possible. Our reputation for complete customer satisfaction speaks for itself. We are proud to be a family-owned and operated company, fully licensed and insured. 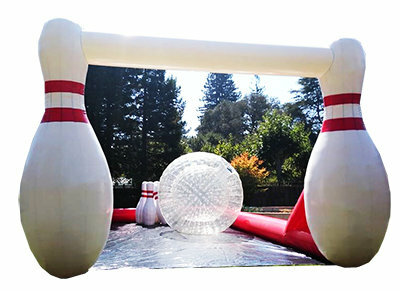 Based in Redwood City, California, we provide Jump House rentals, Party Event Rentals of Jump Houses aka Jumpers aka Bounce Houses, Obstacle Courses, Interactive Inflatable Games, Sport Games, Giant Carnival Games, Water Slides, Dunk Tanks, Slip and Slides, Laser Tag, Nerf Wars, Water Tag and constantly update our inventory with items like the Disco Dome and our brand new Lumberjack Axe Throw! We have the only 100-foot Obstacle Course in the Bay Area and we also have Wrecking Ball, Human Foosball, Human Bowling, Human Whack a Mole, Hungry Hippo Chowdown and so many more! We also offer concession services like Cotton Candy, Popcorn, Snow cones and our brand new "Little Snowie" shaved ice machines. Jumpers Bounce Houses near me rentals. Yes, we cover the Bay Area with Jumpers. Bounce House booking has never been easier! Any questions about Bounce House rentals feel free to ask!